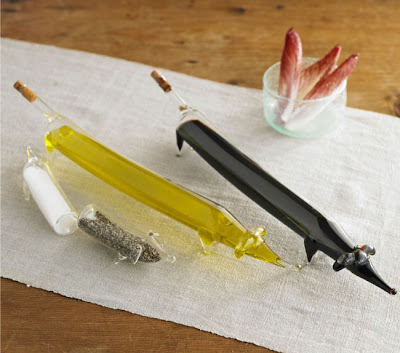 Dachshund Oil and Vinegar Cruet Bottle Set. 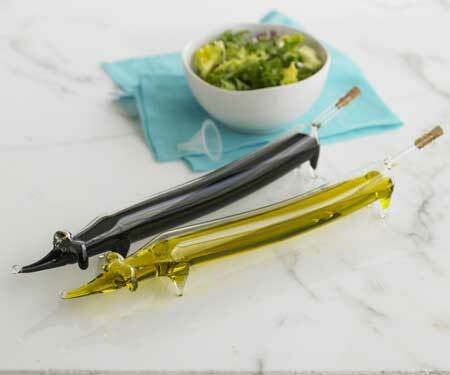 By far, the most fun oil and vinegar set around! This fun Dachshund oil and vinegar set will surely present nicely on the dining table or kitchen counter. Each Dachshund has plenty of space, each measures about 14.25" long. 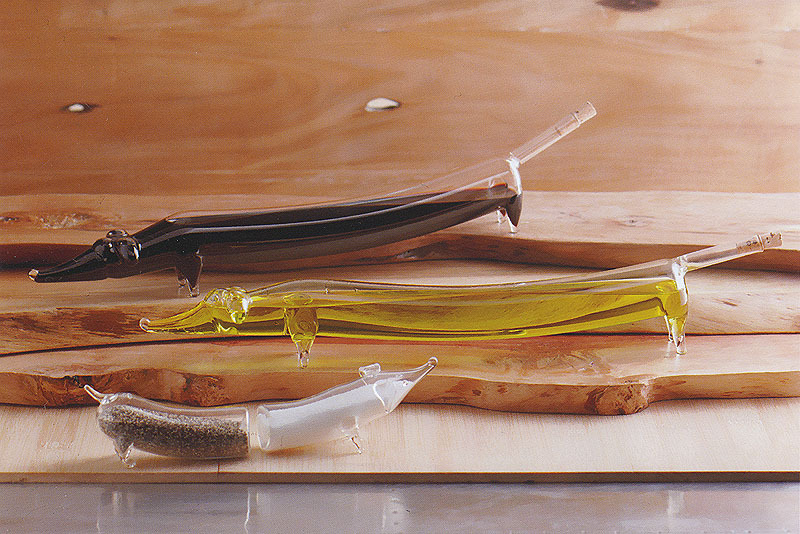 This wonderful oil and vinegar set ads an element of streamlined whimsy to everyday serving. This oil and vinegar set looks beautiful on your kitchen counter and works wonderfully on the dining table. Place this pair of adorable dogs at each table for a fanciful meal. Surprisingly stylish, our beloved Dachshund oil and vinegar cruet set is made from thin yet sturdy borosilicate glass and have a cork stopper. Makes a great presentation accessory on the dining table and a very unique gift idea. Price for the set of two Dachshunds, use one for oil and the other one for vinegar.